No Partner, No Worries: New Study of Psychological Health – Bright, shiny objects! Interesting study about the benefits of marriage that may surprise you! When adults get into their mid-fifties and beyond, how much does a romantic partner matter to their psychological well-being? Matthew Wright and Susan Brown of Bowling Green University, authors of a study (link is external) recently published online at the Journal of Marriage and Family, expected to find a hierarchy of good outcomes. They predicted that married people would enjoy the greatest psychological well-being. Cohabiters, they thought, would do next best, and daters would follow in third place. They expected unpartnered single people to be worst off, psychologically. That is not what they found. Instead they found that for women, partnership status made no difference. Whether the women were married, cohabiting, dating, or single and unpartnered, there were no statistically significant differences in their experiences of depression, stress, or loneliness. There were some nonsignificant trends in the data, but even those were not always consistent with the authors’ predictions. For example, the women who were dating tended to experience more stress than the single women without a romantic partner. For the men, having a romantic partner mattered more than it did for the women, but again, not exactly in the ways the authors predicted. The authors thought that the unpartnered single men would do worse than the single men who were dating on every measure, but that never happened. The men who were dating did not differ significantly from the unpartnered single men in their experiences of depression or stress or loneliness. The cohabiting men were predicted to do less well than the married men, but that never happened, either. The married men were more likely to report frequent depressive symptoms. 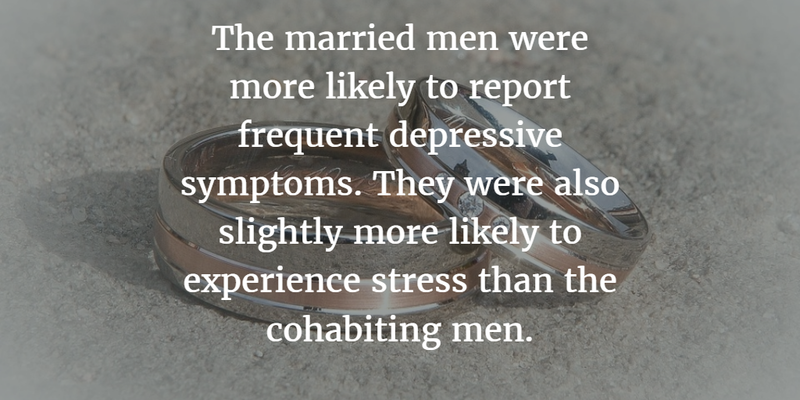 They were also slightly more likely to experience stress than the cohabiting men. Marriage was also no protection against loneliness, as married men were no less lonely than cohabiting men. Cohabiting men also did well in comparison to the dating or unpartnered men on two measures of well-being: They were less likely to report frequent depressive symptoms or loneliness. New Adobe technology mimics anyone’s voice with a small sample. It’s like Photoshop for voice!